Minister of Antiquities Khaled al-Anany inaugurated a temporary exhibition showcasing artifacts unearthed by the French-Italian mission at Hall #44 at the Egyptian Museum in Tahrir square on February 4, a statement by Ministry of Antiquities officially reported. The exhibition will run for two months and is organized by the Ministry of Antiquities in collaboration with both the French Institute of Oriental Archeology and the University of Milano. The exhibition displays about 200 artifacts discovered by the French-Italian mission in a village in Umm al-Brijat, Fayoum. These pieces portray an exceptionally detailed picture of village life between the third century BC and the ninth century AD. Head of the Museum Department at the Ministry of Antiquities, Elham Salah Eldin stated that this excavation took almost 30 years, having started in 1988. A highlight from the excavation is the discovery of a rich collection of almost 10,000 papyrus documents written in Arabic and Greek. 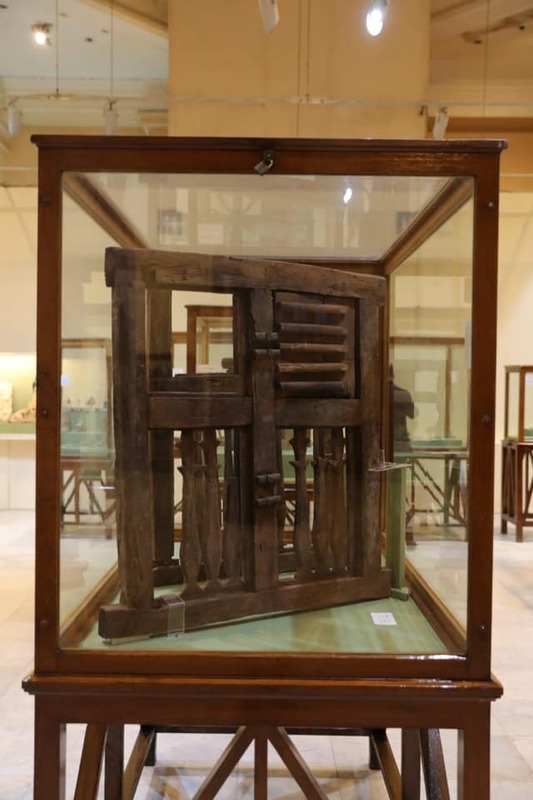 Director of the Egyptian Museum in Tahrir, Sabah Abdel Razek announced that these pieces are being showcased for the first time in this exhibition. Unearthed artifacts found in the village houses include wooden windows and baskets in addition to different types of metals. The exhibit also showcases items of daily life, such as pottery utensils used for cooking and food storage, dating from the Ptolemaic, Roman and Byzantine eras. A unique collection of ancient cosmetics and decorations consisting of perfume bottles and oils is also being showcased at the exhibit. This village was first discovered in 1988, when several missions by English and German archeologists succeeded to discover building that are architecturally fascinating among other distinctive excavations on the site. The excavation there stopped for a while until the French-Italian mission decided to resume digging there in 1988. Inauguration for the exhibit occurred the sidelines of celebrations for the Egyptian-French cultural year 2019.